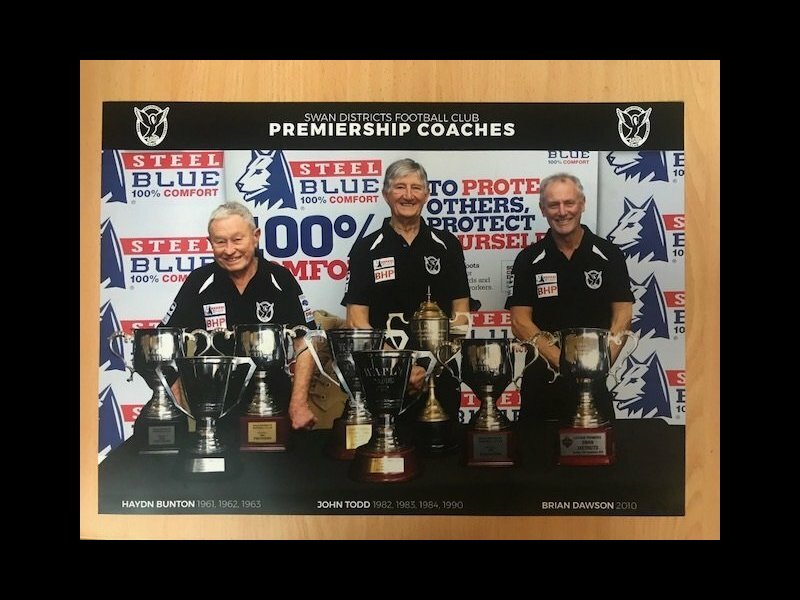 Premiership coaches poster 42cm x 30cm Haydn Bunton (1961, 1962, 1963), John Todd (1982, 1983, 1984, 1990) and Brian Dawson (2010) Or would you like it framed? Please call the office for further information. 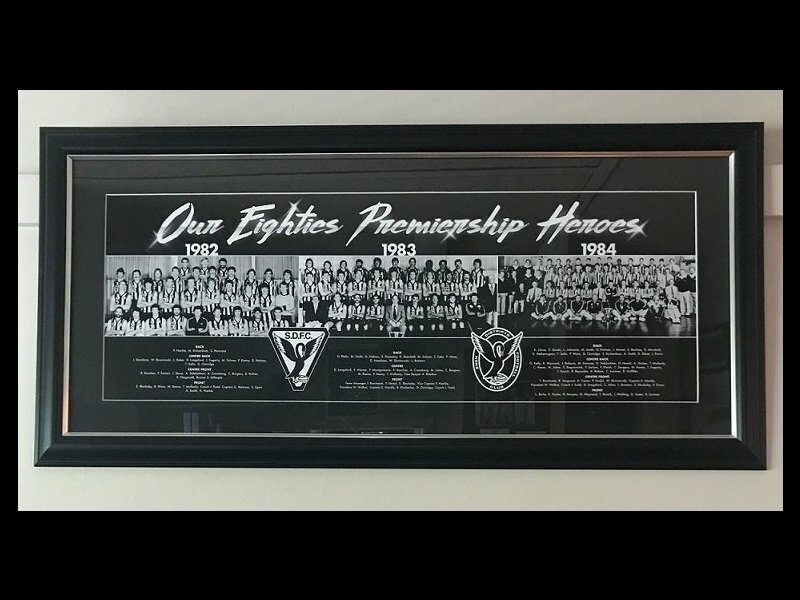 80's premiership poster framed with silver trim inside. Please allow 2 weeks turnover. 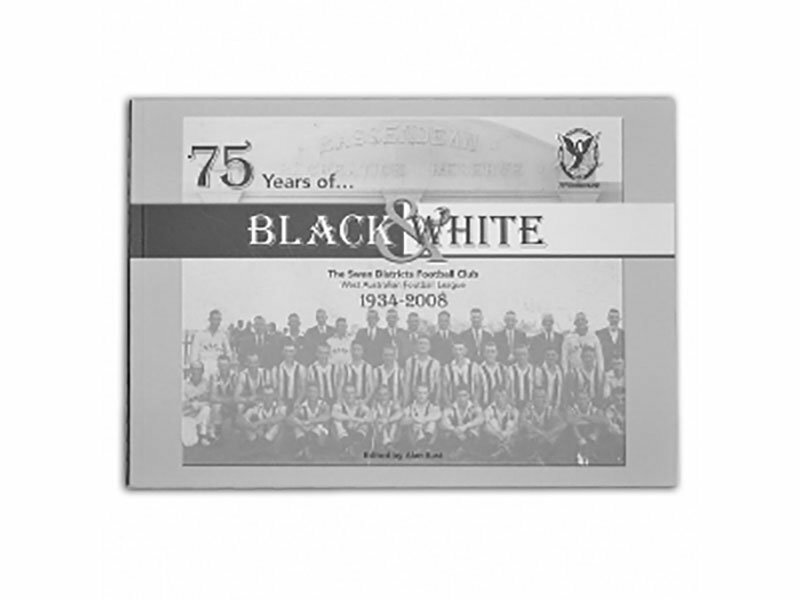 60's premiership poster framed with silver trim inside. Please allow 2 weeks turnover.